Card Review: 10.0 1983 Topps boasts a great design, great photo selection, and is one of my favorite sets ever. 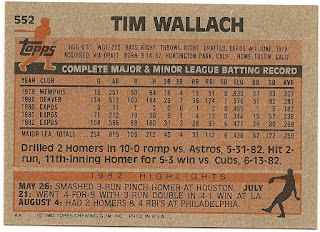 It should be no surprise to hear then, that this card is on the short list for my favorite Wallach of all time. 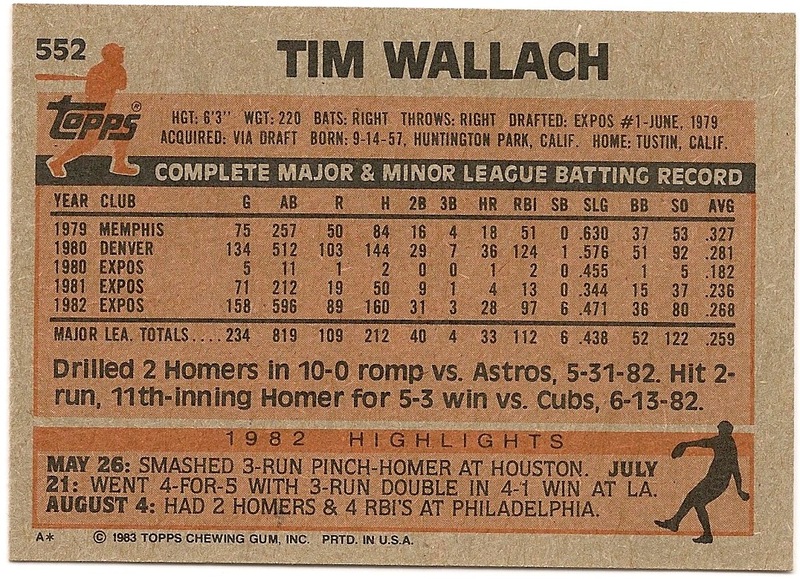 The '83 Topps set has always been one of my favorites, since the first time I saw it, and for my money the backs are the best designed Topps backs of the decade. The purple/orange front color combination just seems to work very well with the Expos colors. Fun Facts: * '83 Topps was the 1st Wallach I ever owned. 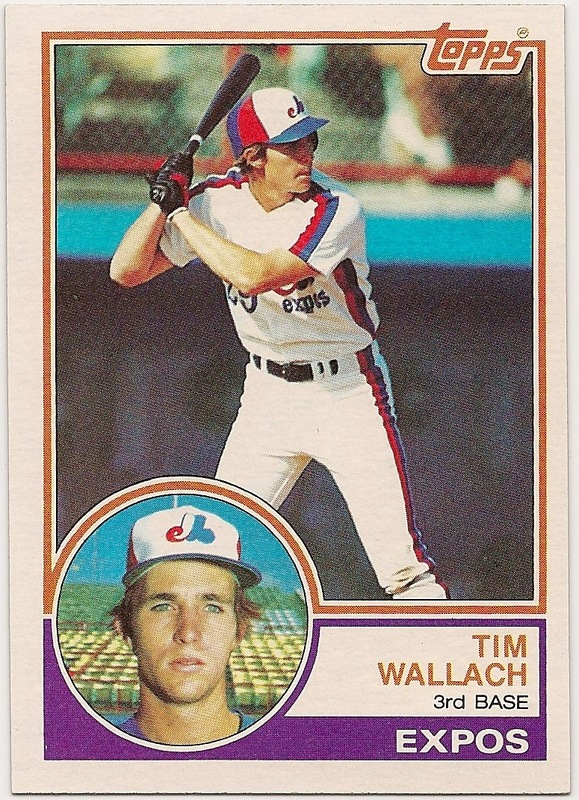 *Wallach was snubbed from the '82 All-Star game played in Montreal. For some inexplicable reason only 3 reserves were selected for 3B/SS/2B while an additional 3 for 1B alone were selected (Ray Knight .294/6 HR/70 RBI being the most egregious).